On Thursday November 16th all fifth year students visited Carlow IT. 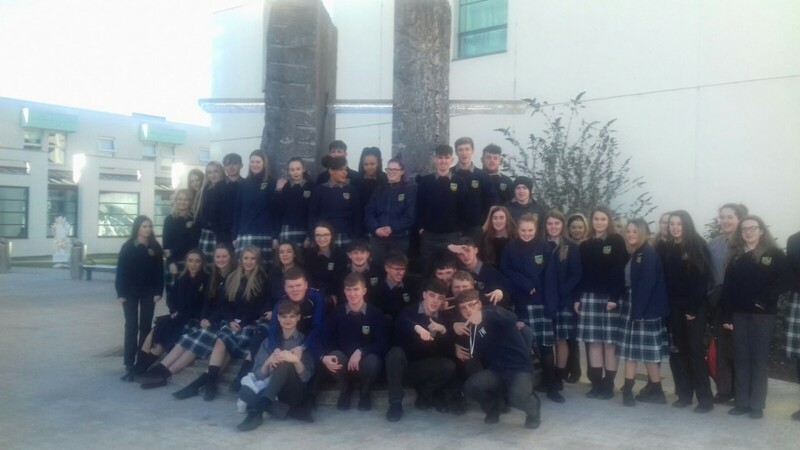 Students were given a programme for the day and were given an opportunity to find out more the courses on offer at the Institute of Technology Carlow. Students were directed to attend a minimum of two talks within an area or discipline(s) of interest. Carlow IT had talks on their courses in the area of Business, Sports Media and marketing, Business, Science and Health, Computing and Networking, Aerospace, Mechanical & Electronic Engineering and Built environment. Staff members and current students were also at information stands located in the Exhibition area. They were available to answer questions on CAO points, entry requirements, subjects, course progression, departmental tours, how to apply for a course and course fees/grants. Many of our past pupils have benefited from The Access Programme at the Institute of Technology. This programme targets those who have the ability to benefit from and succeed in third level education but whom, for a variety of reasons, encounter barriers which impacted on their education. The Carlow Access Programme offers a 10% point reduction and also offers financial assistance of €1,500 per annum. Eligibility is on their website. St Paul’s Guidance counsellors are working hard to increase the bus service from Carlow IT back to Monasterevin. Things are looking good and we hope to get a bus out of Carlow at 3pm and 5pm each day Monday to Friday.